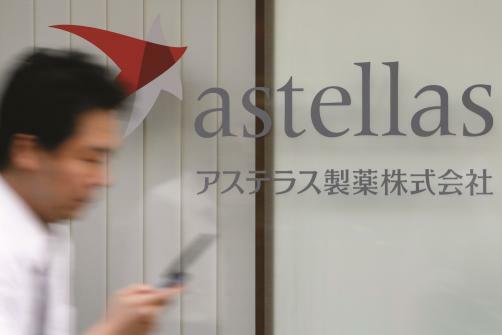 Astellas has revealed that Xospata (gilteritinib) has been awarded FDA approval as a treatment for relapsed or refractory acute myeloid leukaemia (AML) with an FLT3 mutation – a first for the US regulator in this indication. Data drawn from an interim study of the ADMIRAL trial fuelled the decision, showing that the rate of complete remission with or without partial haematologic recovery was 21%, with a median duration of 4.6 months and a median time to first response of 3.6 months. Full results from the trial will be shown at an upcoming medical meeting, the manufacturer confirmed. Around 19,000 people will be diagnosed with AML, according to estimations by the American Cancer Society. The FLT3-ITD-mutated and FLT3-TKD-mutated forms of the disease, which Xospata treats, affect around 30% of AML and 7% of AML patients respectively, with the former being associated with poorer rates of disease-free survival and overall survival. "Our ability to use precision medicine to help patients with FLT3-mutated AML takes an important step forward with the approval of Xospata," commented Dr Alexander Perl, Abramson Cancer Center, University of Pennsylvania. "There is an urgent need in the clinic for more targeted agents to help patients whose disease is either refractory to the initial therapy, or who have relapsed." Dr Steven Benner, Senior Vice President and Global Therapeutic Area Head, Oncology Development at Astellas, also added: "Xospata offers new hope to patients for whom the treatment path forward is unclear. For the first time, people with relapsed or refractory FLT3 mutation-positive AML have an FDA approved FLT3-targeting treatment available to them. The approval of Xospata is also a proud, landmark moment for our oncology programme and marks the first approval of a medicine that will be the cornerstone of our new presence in blood cancers."